Over the week fired FBI Director James Comey sat down with ABC's George Stephanopoulos to talk about his new book, A Higher Loyalty. Comey has been under fire for days over allegations and claims in the book, which was described by Fox News Sunday host Chris Wallace as "b*tchy." 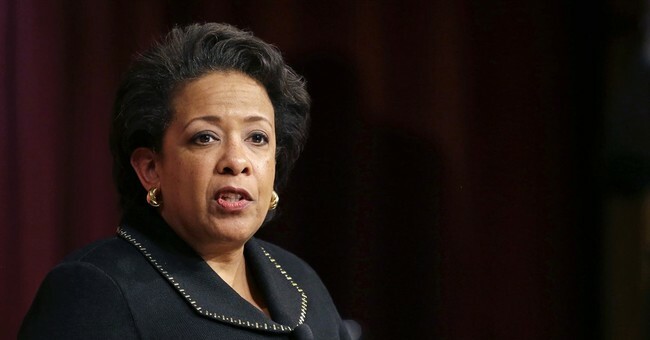 Last week, former Attorney General Loretta Lynch tried to get ahead of the situation and said during an interview with NBC News that Comey didn't express concern when she asked him to call the criminal investigation into Hillary Clinton a simple "matter." LESTER HOLT: But, so Comey says you want to call it, "The Clinton matter." He wants to call it, "The Clinton investigation." To the extent, though, that he noted it, that it bothered him did he go to you and question your credibility with regard to the Clinton case? LESTER HOLT: And he didn't raise any concerns about? Just before Comey's interview with ABC on Sunday, Lynch issued an additional and longer statement in an effort to get ahead of what she sees as her version of the truth surrounding the Clinton investigation. "Over almost two decades as a federal prosecutor I have aggressively prosecuted drug dealers, violent gangs, mobsters, and money launderers, upheld the civil rights of all Americans, and fought corruption of all types –– whether by elected officials from both sides of the aisle or within organizations like FIFA. Through it all I have never hesitated to make the hard decisions, guided by the Department of Justice’s core principles or integrity, independence and above all, always doing the right thing," she said. "The Justice Department’s handling of the Clinton email investigation under my leadership was no exception. It was led by a team of non-partisan career prosecutors whose integrity cannot be overstated and whom I trusted to assess the facts and make a recommendation – one that I ultimately accepted because I thought the evidence and law warranted it." "Everyone who works for the Department of Justice has an obligation to protect the confidentiality and integrity of the work of the department. That is why, at the critical early stages of this case, I followed the departments long-standing policy of neither confirming nor denying the fact of an ongoing investigation. This policy both pre-dates my tenure in the Department and will live on long after the current debate is over. It neither misleads nor misinforms, but instead both protects investigations and guarantees equal treatment of those under scrutiny, whether well-known or unknown. Any suggestion that I invoked this bed rock policy for any other reason is simply false," she continued. "Throughout the process I did what I always do: rise above politics and uphold the law. At no time did I ever discuss any aspect of the investigation with anyone from the Clinton campaign or the DNC," the statement concluded (bolding is mine). "I have known James Comey almost 30 years. Throughout his time as Director we spoke regularly about some of the most sensitive issues in law enforcement and national security. If he had any concerns regarding the email investigation, classified or not, he had ample opportunities to raise them with me both privately and in meetings. He never did." Lynch's denial she discussed the FBI's criminal investigation with the DNC or Clinton campaign is key. Comey said during congressional testimony last summer Lynch's use of the term "matter" to describe a criminal investigation was concerning because it lined up with the language being used by the Clinton campaign as a way to downplay the significance and seriousness of the FBI's probe. The bottom line: Someone is lying.